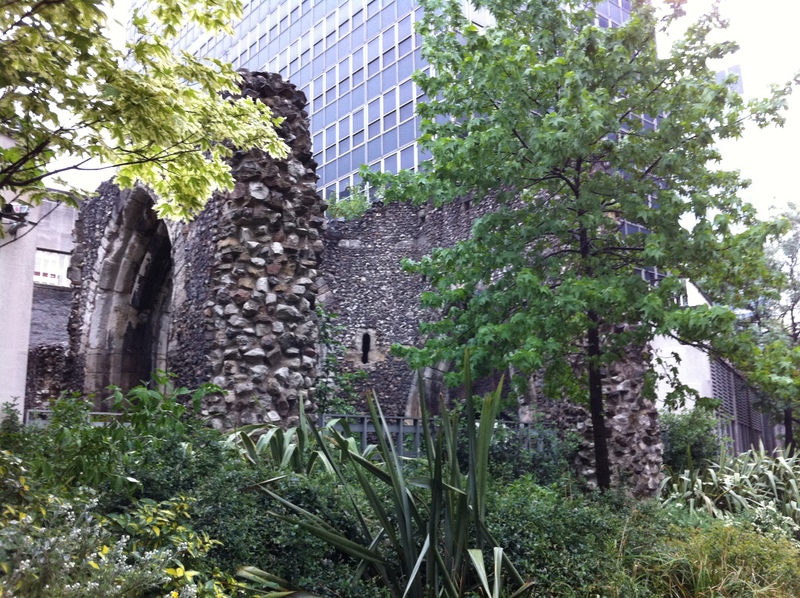 London once had a wall that surrounded the entire city – what’s now called the City of London (or the ‘Square Mile’). Built by the Romans to defend against attacks by Saxon raiders and mutinous forces within the province of Britannia, it stood for over a thousand years. In the Middle Ages, it was repaired and towers and crenelations added. But by the eighteenth century, the city was bursting out of the walls. One by one the great gates were demolished and only place names like Aldgate, Cripplegate, Bishopsgate and Newgate offer clues that there were several entrances in to the city. Bit by bit the rest of the wall was demolished. 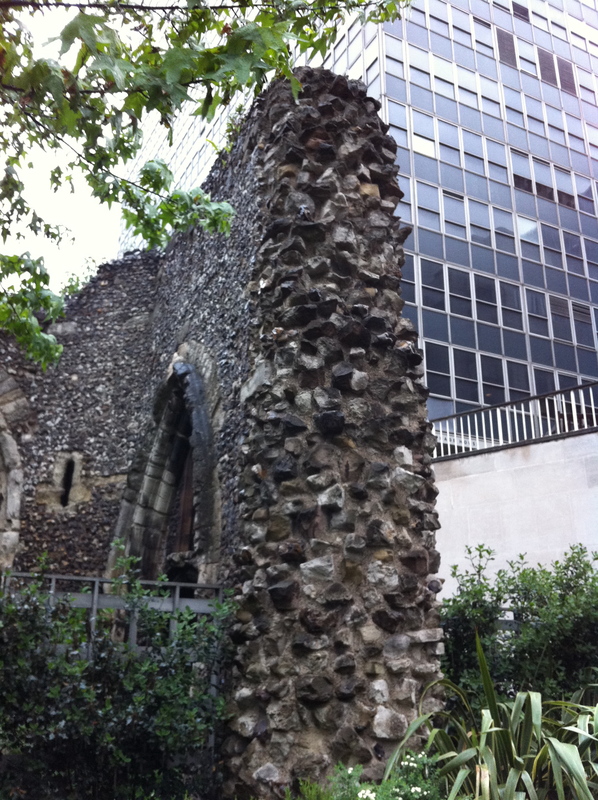 However, here and there – some small bits have survived dwarfed by today’s skyscrapers. Here’s a small section I snapped last week.